Nicole Savoy is the current champion. 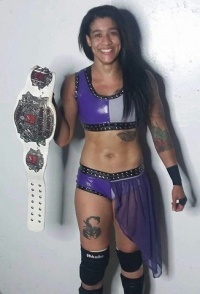 She defeated Christina Von Eerie on September 10, 2016 in Napa, California. This page was last edited on 31 July 2017, at 21:30.